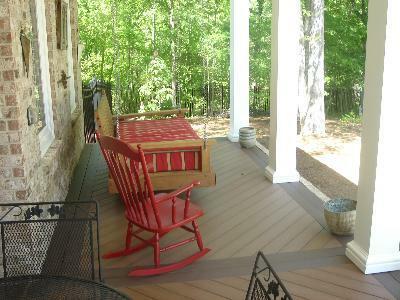 Are you looking for a deck for your Macon, Warner Robins or Central GA home? 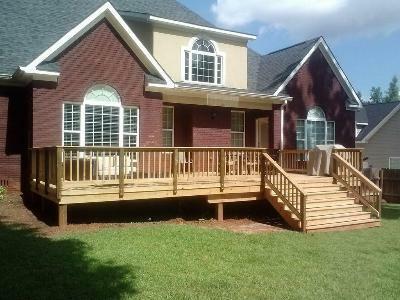 If you’ve started to do your research on having a new deck built at your Central GA home, you no doubt have looked at whether you’d like a wood deck or a composite deck. 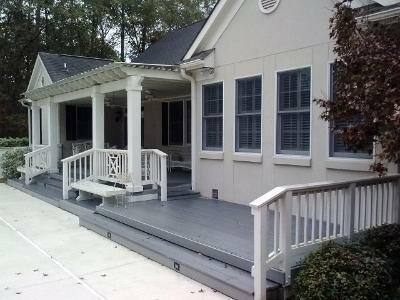 Composite decks are very popular because they are very low maintenance. You don’t need to do any annual maintenance and they are warrantied for 25 years or more depending on the brand you select. Wood is a great option and the price is significantly lower than the price of synthetic decking including composite, cap stock and PVC. The deck below is a multi-level deck. Although there isn’t much height difference between the levels, they do indicate alternate living areas making this deck similar to a multi-room space. 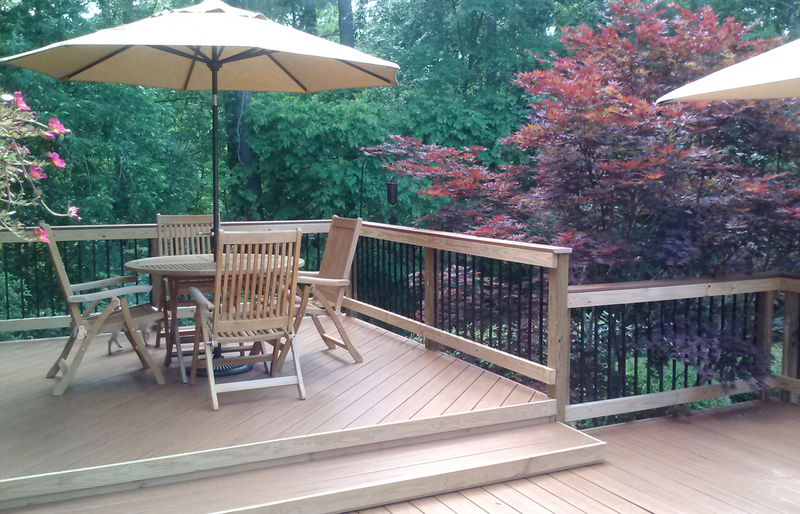 Do you want to use your deck to enjoy family meals or to have a fabulous and relaxing space to enjoy a quick lunch? How about being able to fix your food outside on your deck? 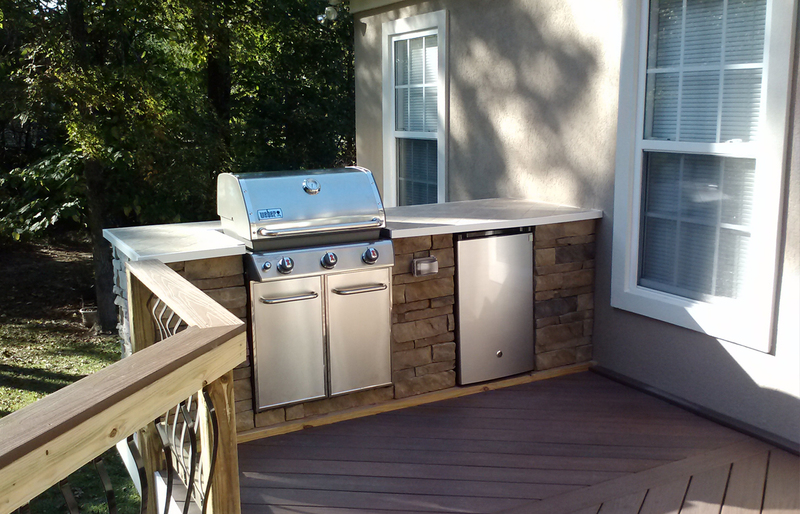 An outdoor kitchen serves a couple different purposes. In addition to allowing you to prepare and eat in one space, it also provides a convenient space for your grill. We all know that your grill can take up a tremendous amount of space sometimes really cutting into the area where you would like to place your table & chairs or your outdoor chairs and sofa. Integrating your grill into a cooking area ensures your grill doesn’t infringe on any of your furniture space. If you are fortunate to have a lake home or lakeside cabin, it is so important to have a comfortable space to enjoy the view. The lake, river, or pond are not just great places to launch a boat or kayak. This terrific deck not only overlooks the water, it integrates a seating space that sits right over the water. Your space will be designed specifically for you to meet your needs and wants. 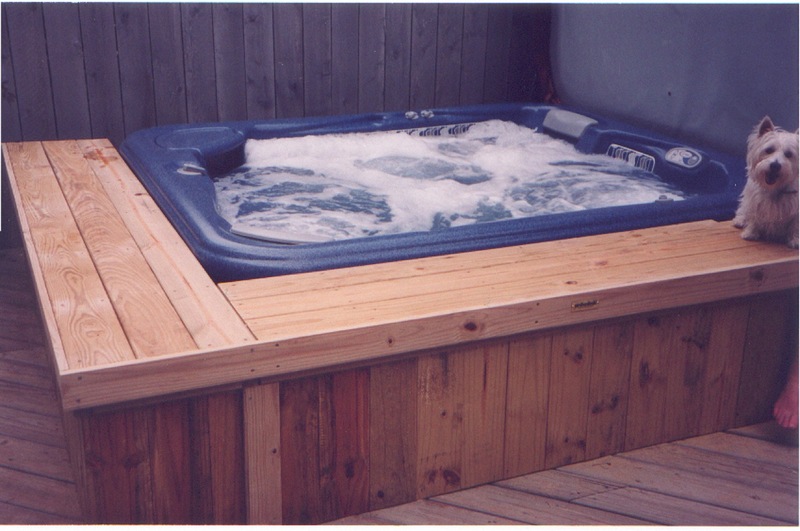 How many times have you seen a hot tub that resides remotely in a backyard or is just a few steps away from the deck? There are other concerns with not connecting or integrating your hot tub with your deck. Mud is just one concern as you and your guests try to traverse an area between your deck/patio and your hot tub or spa. 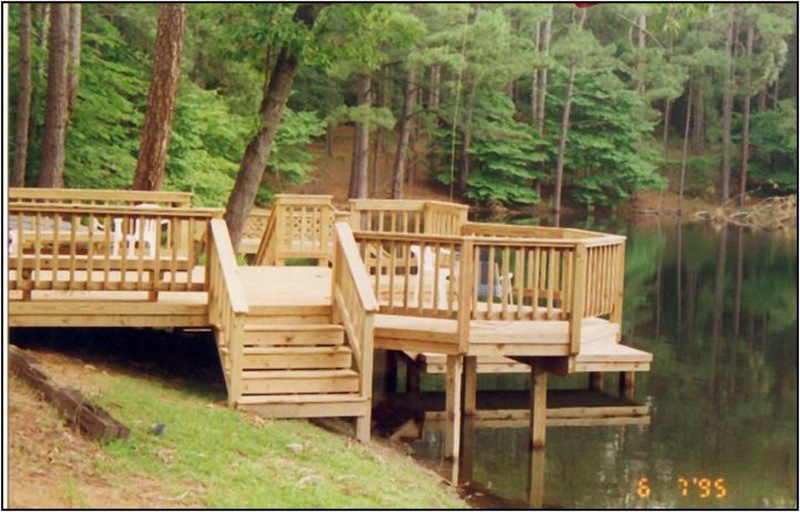 Archadeck of Central GA works with you to ensure that not only is your hot tub integrated into your deck, but also that it’s easy to get into and that there is adequate space to serve both as seating and to keep towels and beverages. 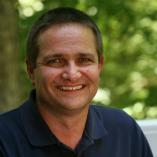 Check out your low-maintenance decking options.